While there aren’t many options available to visitors, it is possible rent a wheelchair or mobility scooter when you’re in Branson. If you’re visiting Branson and need assistance with renting a wheelchair – then you’re in luck as there is a company that caters to visitors and offers daily rentals. Those visiting Branson, Missouri can rent a wide variety of scooters and wheelchairs while they are in town. With travel scooters that accommodate up to 500 lbs and wheelchairs that are able to handle up to 700 lbs, Branson Mobility Rentals offers many different types and styles of motorized and non-motorized options for you to rent while you’re in town. …and many other electric and manual pieces of equipment you might need when visiting! So whether you’re debating packing your own equipment, or need something while you’re in town – Branson Mobility Rentals offers a wide range of choices and options to help you while you’re in Branson. In addition to their regular wheelchair and scooter rentals, the company also specializes in rentals for those visiting the Silver Dollar City theme and amusement park. 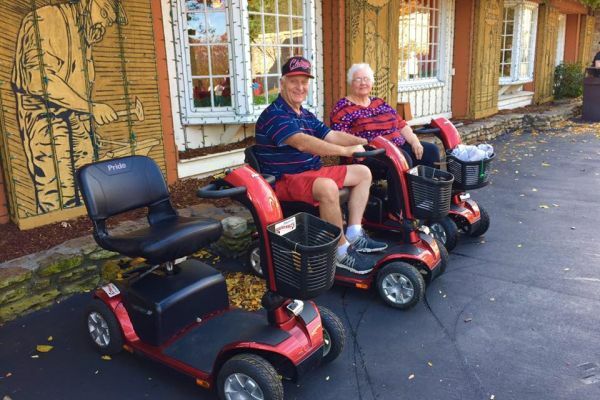 Branson Mobility Rentals offers scooter and wheelchairs for rent and even offer rentals for those visiting Silver Dollar City. Able to accommodate up to 500 lbs, there are several types of scooters and options available for guests of the theme park. 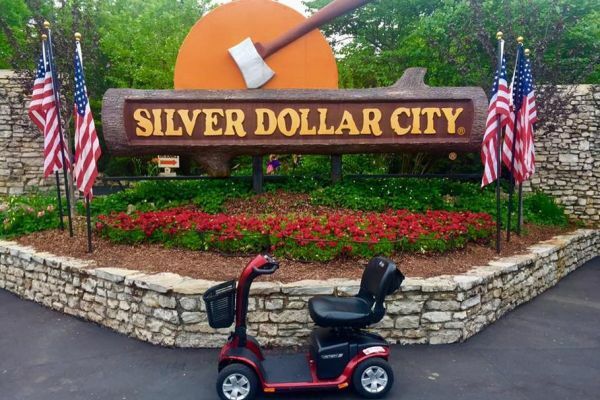 While Silver Dollar City does offer on-site scooter rentals, we highly recommend that those with special accommodations, requests, or needs to call ahead to either the park or Branson Mobility Rentals and ensure that they are all set up beforehand prior to visiting the park. Guests visiting the Branson Landing, have wheelchairs and electric scooters for their convenience to use while shopping, dining, and visiting the Landing. Simply visit one of the on-site information centers when you arrive. Please be aware that these are available on a first-come, first-serve basis.